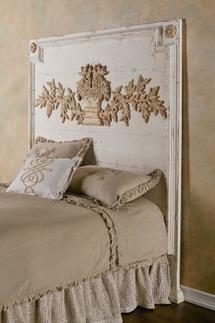 Dreaming of a more ethereal, romantic look for your bedroom? Our Sonnette Quilt creates a sense of luscious serenity with a textured matelassé that is so high-end, it appears nearly embossed. Made for us in Portugal - renowned for its extraordinary matelassé craftsmanship - this woven-cotton quilt is fully lined and trimmed on three sides with a soft, billowing ruffle of light, cotton sheer. Beautiful with our Sonnette Bed Shams and your favorite of our accent pillows. Lightweight 8" cotton sheer ruffle on 3 sides. Coordinates with our Sonnette Bed Shams. Machine Wash Cold, Separately, Gentle Cycle, Only Non-chlorine Bleach Whenneeded, Tumble Dry Low, May Be Dry Cleaned.